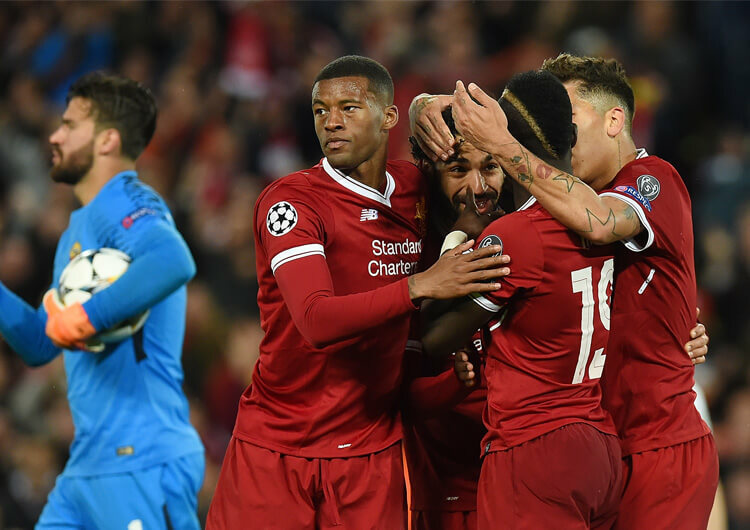 With Liverpool set to appear in their first Champions League final in 11 years, there’s no more appropriate time to indulge in one of the competition’s greatest comebacks – the Miracle of Istanbul. In the 2005 final, Rafael Benitez’s Reds refused to accept defeat at half-time, despite heading into the dressing room 3-0 down to a dominant AC Milan managed by Carlo Ancelotti. Three goals in six second-half minutes – from Steven Gerrard, Vladimir Smicer and Xabi Alonso – saw the Merseyside outfit fight back to draw level before emerging, exhausted, from extra time to triumph in the penalty shootout. Here, our professional coaches take a look back at the action, analysing the tactics and key moments from that night at the Ataturk Olympic Stadium. AC Milan set up in a 4-4-2 structure, utilising a midfield diamond of Andrea Pirlo, Gennaro Gattuso, Clarence Seedorf and Kaka. Liverpool had barely enough time to assess their opponents and settle when, with not even a minute on the clock, Milan were ahead. An early free-kick from Pirlo fooled the Reds’, as he cut the ball back for veteran defender Paolo Maldini to volley home. From here, Carlo Ancelotti’s side confidently took control of the ball. Pirlo dropped deeper in possession, helping the back line smoothly transition play up the field. Often left with ample time and space, his long passes were typically impeccable. Hernan Crespo and Andriy Shevchenko attacked the vacant space in behind with well-timed runs, and the Italian midfielder penetrated Liverpool’s defence to find the pair with relative ease. Kaka was a menace throughout the first half, too. The Brazilian operated at the tip of the midfield diamond, shifting and roaming in between Liverpool’s defensive lines. Pirlo and Seedorf’s passing was instinctive yet direct, as Kaka received in space and drove forward. 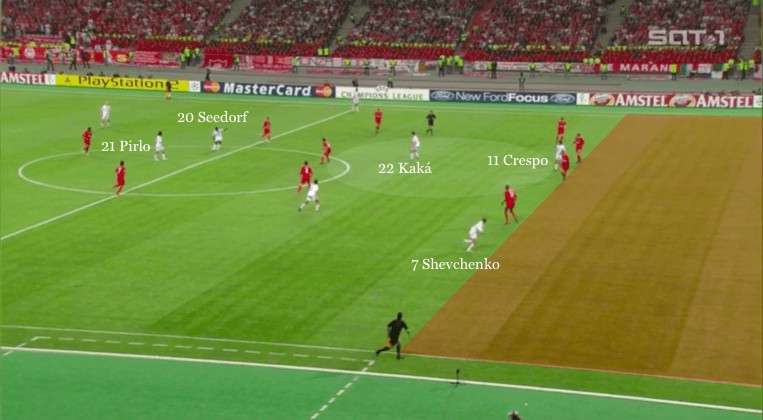 This consequently drew out the Reds’ central defenders, creating further space for Shevchenko and Crespo to attack. After Liverpool began to open up in possession, Milan pounced with a lethal break. As the Reds desperately claimed for a penalty at the other end, the Milan midfield broke, with Kaka again finding unoccupied central space. Shevchenko curved his run away from Liverpool’s back line and was found just inside the box. As the defence rushed towards him, he squared the ball back across goal for Crespo to tap home at the far post. Moments before half-time the game already appeared over for Liverpool, as Crespo was on hand again to make it 3-0. Jamie Carragher hopelessly stretched to block off access to the Argentine, as a delightful through ball from Kaka split the Reds defence. The ball slid into Crespo’s path who, with a gloriously improvised stab finish, sent the ball past the onrushing Jerzy Dudek. 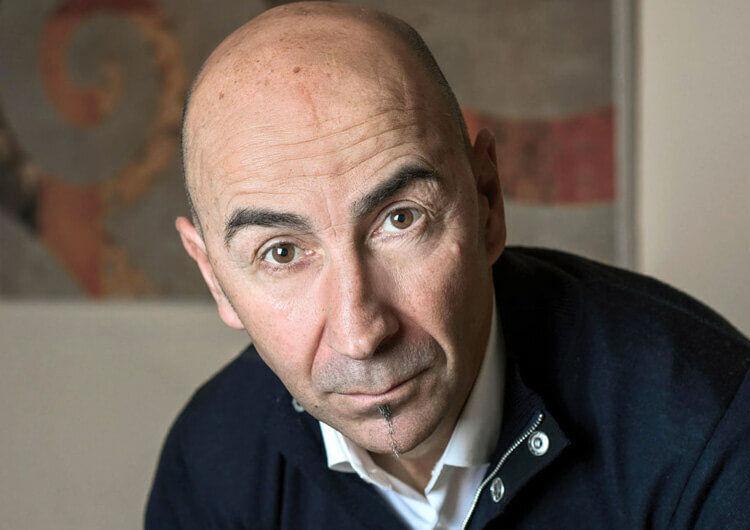 Complacency perhaps played its part in the opening 15 minutes of the second half, which were disastrous for the Italian side. 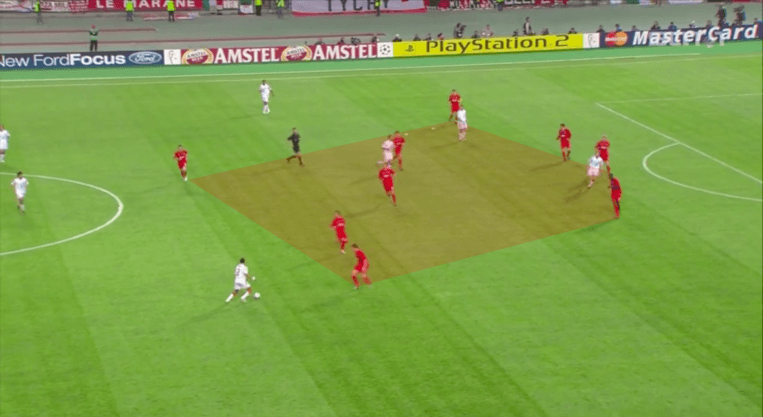 Liverpool’s new structure in attack saw Milan go from full control to complete disarray. Previously, the Reds hadn’t made use of any attacking width – but with wing-backs now stretching Milan’s midfield, they couldn’t stop central penetrations. Liverpool were in full flow by the hour mark, having turned the game on its head to draw level at 3-3. To Milan’s credit, after the third goal was conceded their composure returned and they halted any further progress from Liverpool. Intelligent spells of possession coupled with more aggressive pressing prevented the Reds from inflicting additional damage. They lacked consistent penetration in attack, however, as Liverpool’s midfield now swamped the space around Kaka. The game fizzled out to extra time, where Milan regained control despite cramp and fatigue afflicting both sides. For all of Milan’s possession, the only real chance came late on, when Shevchenko’s header was superbly saved by Dudek. The rebound fell nicely for the striker who somehow managed to miss, as Dudek seemed to unknowingly parry the ball over the crossbar. The game finished with a penalty shootout, with Milan up first in front of their own fans. It took the Rossoneri three attempts to convert, as Serginho and Pirlo both missed their early penalties before Jon Dahl Tomasson converted. Kaka calmly slotted home his spot-kick before the pressure penalty landed at the feet of Shevchenko. The forward stepped up and softly struck his shot straight into the body of Dudek. Despite a 3-0 lead at half-time, Milan suffered defeat in one of the game’s greatest ever comebacks. Milan utilised a 4-4-1-1 defence structure, as Kaka dropped deeper to help defend wide areas. Andriy Shevchenko remained high for potential counter-attacking opportunities. Kaka found pockets of space in between Liverpool’s midfield and defensive units throughout the first half. Drawing out central defenders, the Brazilian created further space in behind for Shevchenko and Hernan Crespo. Milan also attacked with longer balls from deeper positions. 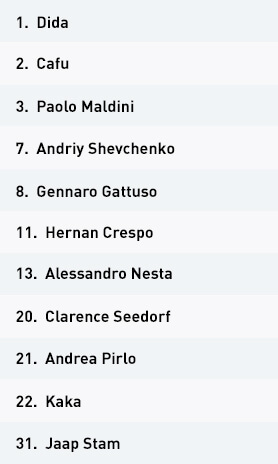 Andrea Pirlo and Clarence Seedorf repeatedly exploited the space in behind for Crespo and Shevchenko to again run on to. Kaka also continued to find good pockets of space. 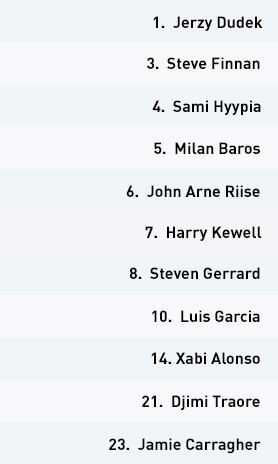 Once Liverpool changed their shape, Milan lacked direct access into Kaka. With Xabi Alonso in a deeper central role, the space for Kaka to receive was limited. As Liverpool gradually retreated into a more reserved defensive block, Milan also lacked a smooth connection between Pirlo and the back line. This resulted in disjointed build-up play and attacks. Liverpool set up in a defensive 4-2-3-1, looking to hit Milan Baros early during attacking transitions. Until they changed to a 3-4-2-1 in the second half, they struggled to assert themselves in possession. Liverpool failed to make use of any attacking width in possession. Luis Garcia often moved inside from the right, as Milan’s diamond central midfield comfortably dealt with their central attacks. 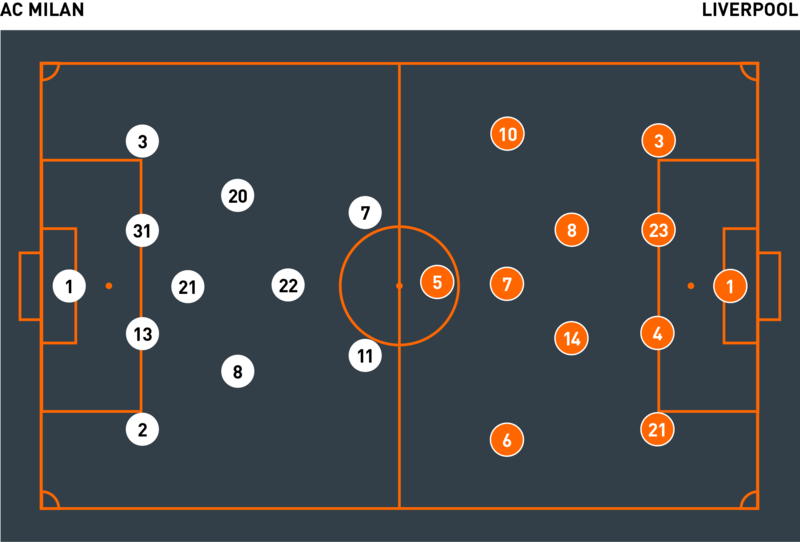 By switching to 3-4-2-1 structure and changing from three to four players in central midfield, Liverpool had more passing options in central attacking areas. Now Liverpool could attack with full width, stretching Milan’s midfield in the process. Central spaces soon formed between the Italian side’s units, allowing late runs from midfield for Steven Gerrard and Didi Hamann. Liverpool, physically and mentally drained in the latter stages, converted to a deep defensive block, restricting any central access for Milan as the game edged towards penalties. Liverpool began in a 4-2-3-1 formation, as Steven Gerrard, Xabi Alonso and surprise selection Harry Kewell started in the central midfield areas. The Reds couldn’t have anticipated a more difficult start. They went behind in the first minute, when Paolo Maldini volleyed home from an Andrea Pirlo free-kick. Naturally, Milan’s midfield went on to dominate the early proceedings, as Gerrard and Alonso struggled against a central midfield quartet. The movement of Kaka in particular proved an issue, with the Brazilian able to directly attack the Reds’ back line by drifting into space behind their midfield. In possession, Liverpool were sluggish and uninspiring. Luis Garcia drifted inside from the wide right position, but would have been more effective maintaining attacking width. Milan’s central press, meanwhile, choked any play in the centre of the park, making it difficult for the Reds to build. The ball was often directed towards John Arne Riise on the left side, who became an eventual outlet in moving forward. Riise delivered powerful crosses into Milan’s penalty area, but with only Milan Baros to aim for, any danger on goal was comfortably dealt with. Needing to come back from three goals down, Rafa Benitez changed the structure at half-time to a 3-4-2-1 shape. 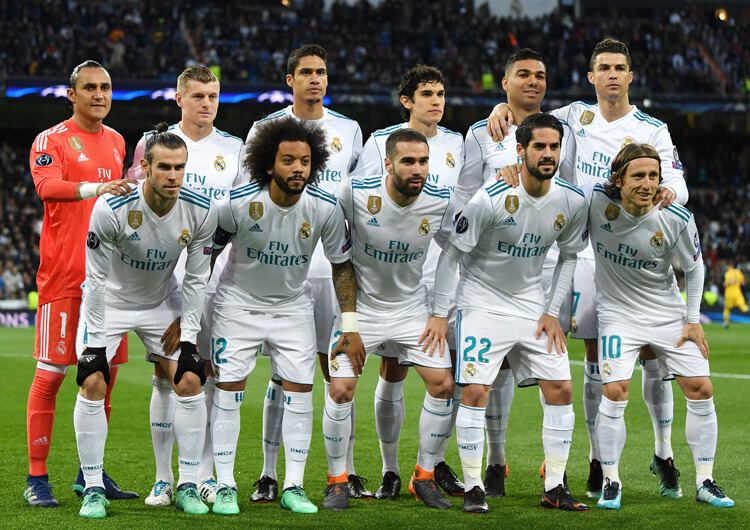 The scoreline and injuries to Harry Kewell, who had been replaced early by Vladimir Smicer, and later Steve Finnan forced Benitez’s hand – and, with Didi Hamann now introduced as an extra midfielder, there was an immediate change in style and confidence to their play. The new-look Liverpool side now had an air of purpose. With Gerrard higher in possession and driving his team up the pitch, Liverpool surged forward in attack. Only 10 minutes into the second half, the captain superbly guided his header into the far corner from a swooping Riise cross. The Liverpool crowd’s roar increased two minutes later, when Smicer drove home a low shot into the bottom corner. Liverpool surged forward in attack. Milan struggled to cover central spaces, and the Reds now set up with four players in the central areas. Gerrard in particular proved problematic, and he was soon posing a threat with his forward runs. After the ball had been moved higher up the pitch, the Englishman was eventually brought down by Gattuso inside the penalty area. Xabi Alonso stepped up; while his initial attempt was wonderfully saved by Dida, the Spaniard smashed home the rebound. Milan responded by reorganising, and they slowly began to regain control of the ball. Liverpool’s momentum naturally faded late in the second half, as their opponents dominated possession. The Reds, however, remained comfortable in a low defensive block. Milan created few real openings, and when cramp and fatigue started to kick in, Liverpool ran down the clock to send the game to extra time. Liverpool’s strong defensive foundation continued, as they looked to hit Milan on the break. Substitute Djibril Cisse was an ideal outlet for their long clearances, with the Frenchman chasing down loose balls and often forcing Milan to give away cheap throw-ins and the occasional corner. But, besides a fortuitous late save from Dudek, neither team looked worthy of scoring in extra time. Penalties loomed. Hamann stepped up first for Liverpool, and led by ice-cool example. Once Cisse converted Liverpool’s second, they already had a 2-0 lead with only three kicks each left to be taken in the shootout. Milan converted their next two, while Riise’s effort was saved. Smicer slotted home Liverpool’s fourth before the pressure fell to Andriy Shevchenko. Dudek invoked the spirit of Bruce Grobbelaar, his wobbly legs doing enough to put off the Ukrainian forward, as the ball cannoned back off the goalkeeper to seal Liverpool’s fifth European title in the most dramatic fashion imaginable. The key feature of the game involved Liverpool’s change from a 4-2-3-1 to a 3-4-2-1 structure. 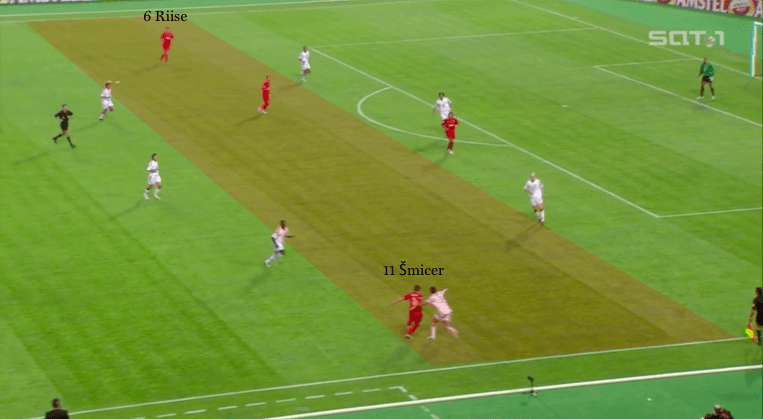 This alteration provided more space for Xabi Alonso to receive the ball and dictate the tempo of Liverpool’s build. In the first half, Steven Gerrard and Alonso almost looked to be in the way of one another, but the Spaniard could now operate with increased freedom. Gerrard was also given more licence to attack. The England midfielder could provide continuous supporting runs forward, often just after the ball had reached the final third. Milan struggled most when trying to deal with his runs – as Liverpool’s first and third goals proved. This tactical change helped Liverpool defensively, too. Andrea Pirlo and Kaka were gifted too much room to play throughout the first half, with both players instrumental in building Milan’s attacks. Kaka now had to contend with a direct marker in the second half, and the Brazilian struggled to replicate his first-half form. With a reduction of central space, Pirlo similarly found it difficult to dictate play. As Liverpool now set up with two central attacking midfielders supporting the lone striker, Pirlo was often stuck in between the three Liverpool players. This drastically limited his time and space on the ball, and most importantly stopped him from receiving on the back foot to play balls forward into attack.